"Western" Class 52 No. 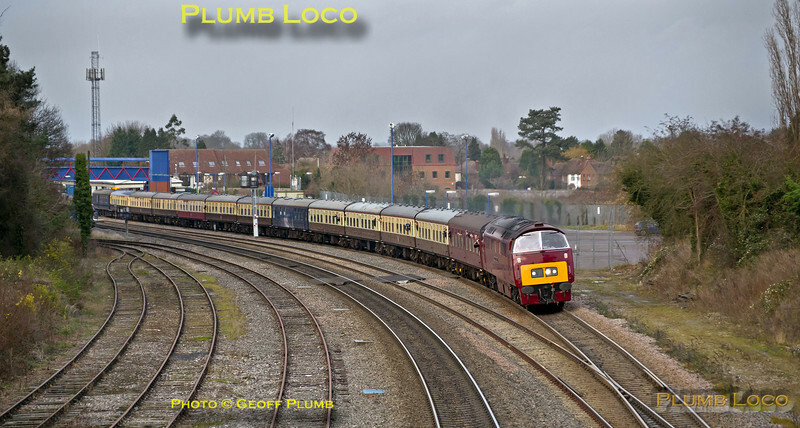 D1015 "Western Champion" accelerates through Princes Risborough after coming off the branch from Aylesbury with 1Z15, "The Maybach Meanderer" return working, 14:51 from Quainton Road to Crewe which it worked back to Bescot via the Chiltern line southwards and then the WCML back north. 15:32, Saturday 14th December 2013. Digital Image No. IGMP2211.